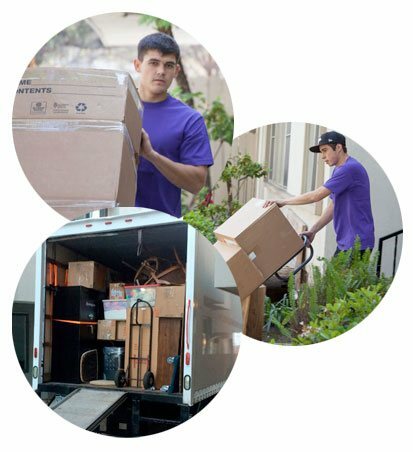 Denver Movers is your reliable moving company! Denver Movers was founded on the idea that fast, reliable, affordable, and safe moving was the best way to serve our customers! With this idea in mind, we have been serving our customers in the greater Denver area for 3 years and counting! Our friendly sales staff will help you coordinate your entire move, start to finish, so you will not have to worry about a thing! Whether you are moving a house, an apartment, a condo, or even just items to or from a storage unit, our local movers team specializes in moving your household items and furniture! Large or small move, we have rates that will fit your budget, and availability to fit your schedule! Our sales staff will work with you to coordinate your residential move, and make it as simple and straight-forward for you as possible to help reduce the stress of moving! We know your belongings mean a lot to you, so our movers will take extra care in quickly, efficiently, and above all, safely moving your items! Need to relocate your office or your business? We can take care of that for you! Our team will bring all of the necessary equipment and materials to assist in moving your office furniture, desks, computers, conference tables, or any other items specific to your business! We bring dollies or hand trucks, plenty of moving blankets and stretch wrap to protect your larger items, and we will also have tools, in case you need to break down large tables, desks, chairs, etc. We will then re-assemble your items at your new location upon request! We are also open on weekends, making it easier to schedule your office move without disrupting your business hours! 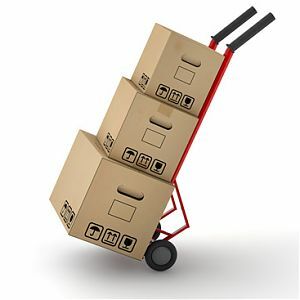 Let us move you over the weekend and have your office ready to go back to work Monday morning! We offer Full Packing and Unpacking services! Our team of professional movers can bring all of the necessary packing materials, and quickly and efficiently pack all of your belongings, just so you don’t have to! Why waste your valuable time packing yourself when you could have everything professionally and safely packed by our experienced movers? When we arrive at your new home, we can handle the Unpacking of your items as well! Just let our movers know where and how you want your items, and they will help you unpack and set up your new home to your liking! We know that sometimes your move won’t require you to move any distance, you just need a couple extra pairs of hands to help you load, unload, or just move items around in your home! We can offer a Labor-Only service at a discounted rate! Whether you are loading your own truck, unloading a truck that you just brought in from out of town, or you just need that large furniture item moved, but you just can’t do it by yourself, we have you covered! Just let us know what we can assist you with, and we would be glad to send you some helping hands! Denver Movers, Colorado is a full-service affordable moving company that has been operating for many years in the city and the surrounding areas. Our rates are very competitive for this area, and we offer the services to match! Moving can be a very stressful and can also be a financial investment. WIth this in mind, each move is planned and coordinated according to each individual needs, without breaking the budget. We make it our top priority to deliver efficient and worry free moving at a very affordable price. 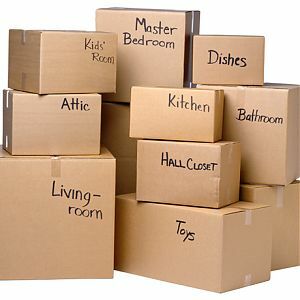 With our highly experienced, friendly, and helpful crews, we will ensure that your move will be hassle and worry free. As professional movers we are highly trained and have many years of experience, which allows us to offer quality protection and care for your belongings to ensure that they make the journey in the same condition they left in! We use quality moving blankets and shrink wrap for your larger items such as couches, dressers, armoires, etc. to ensure that no damages will occur during the move. Our goal is to treat you and your belongings as if they were our own, with the same care and respect that you deserve! We believe communication is important. Our friendly and knowledgeable sales staff will guide you through the entire process, and will keep an open line of communication with you for any questions before, during, or even after your move! We want to make sure that you are well informed about every aspect of your move, so you can feel confident and comfortable! Great customer service throughout the entire process. Simon was very helpful throughout the setup process. My movers Nick and Dima were excellent! I own a lot of fragile decorative items and furniture. They worked really hard and were very careful with my property. They even took time to wrap everything which I really appreciate:) I could not have had such a successful move without Simon, Nick and Dima. I had to stop at a storage unit first and they hustled the whole time. Thank you all so so much! If you don’t want your things to be damaged, work with this team. The leader had years of experience and it showed. Now, it took a bit longer than I anticipated… BUT, more importantly, they were diligent and careful, kind and responsible. I had the team move my furniture only, and my new roommate’s items as well. Everything was heavy and difficult to maneuver down from my second story condo. The guys never complained. This is the first move of my life where NOTHING was damaged, and when all was said and done, the final cost was less than other estimates I had received. I am a very happy customer and hope you will consider supporting this company. They arrived on time and then were very smart in helping us pack thing.They also have some very smart suggestions on how to improvise in stuffing things in boxes.That help us same in boxes and made it efficient to move things swiftly. Our movers were fantastic! Dmitriy, Leo, Anton, Shoha & Umed. They were early, the worked hard and made sure our move & belongings were handled perfectly! We moved from a 3200 square foot house to a 4000 square foot house, they worked pretty much non-stop for 9 hours!!! They made sure all of our furniture was placed perfectly, everything was reassembled and we are just thrilled. And it came in under budget!!! I am a real estate broker and all of my clients will get my strong recommendation for using this Colorado company! We had to move my physically disabled in-laws to an apartment on a lower floor in a different building in the same complex. We packed up as much as we could ahead of time but with someone living there full time we couldn’t do it all. These guys were awesome, they took direction well and and handled what was an enormous amount of stuff for a two bedroom apartment (filled the whole truck). They even brought some stuff over on foot. They were with us for 7hrs! Thank you guys so much, you rock! The entire experience with this company was amazing start to finish! Scheduling was easy, the one hour arrival window was solid, straightforward pricing with no extras, and three incredible movers made our experience fantastic. This moving company will have our business and word of mouth if anyone needs a good company to work with. Dmitriy, Anton and Leo were excellent, hard working, enthusiastic and handled our furniture and boxes with excellent care. No items were broken or damaged by the Movers. These guys were amazing! They moved fast and took such great care of my things! I have had bad experiences with moving in the past and it made me nervous to get a moving company. From start to finish, they allayed my fears. All of my belongings arrived safe and sound and in perfect condition. I cannot thank them both enough for making my move easy! Our moving company is different from other movers! Most importantly, we take care of your belongings! Give us a call or shoot us an email today! Contact our office for any moving service!